Santana's guitar tech pointed out that Carlos Santana uses a Mesa Boogie Mark I for his work. Used by David from 1984 until the end of the Division Bell tour. According to the website, it was "labeled "FUZZ". It was used as a fuzz pedal in the signal chain." [Laner's Tumblr page](http://bradlaner.tumblr.com/post/73139033336/sunday-guitar-overdubs) contains several shots that feature his Mark I combo. This 60W mini head has a push-pull high gain stage that really gives you the 70's distortion you're looking for. Each amp was made-to-order, and in this case you can get them in combo or heads. Rare as hen's teeth, mine has an international voltage selector along with reverb and an fx in/out. 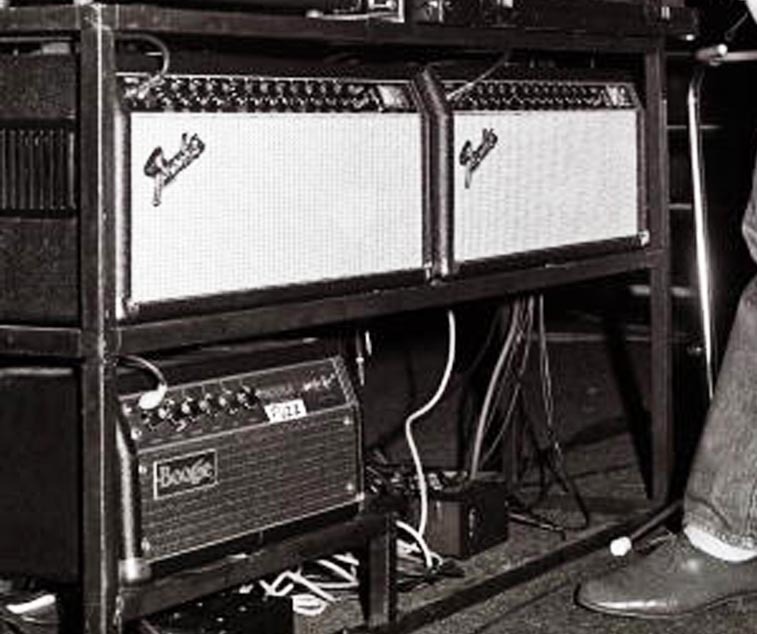 This is one serious amp!